Statement of ELI-DC Director General Allen Weeks regarding ELI-ALPS research institute. 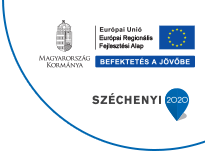 The International Committee of the Attosecond Science and Technology Conference is pleased to announce that the 7th International Conference (ATTO2019) will take place in Szeged, Hungary from July 1 to 5 2019. Initiator of the ELI project Gérard Mourou, laureate of the Nobel Prize in Physics received his Nobel Prize yesterday in Stockholm from King Carl XVI Gustaf of Sweden. The scientist who first proposed the Extreme Light Infrastructure (ELI) has won the 2018 Nobel Prize for Physics along with two other scientists.